Slumps in sports are all too familiar. Every athlete, at some point in his or her career, experiences a slump in performance or a performance plateau, which sometimes feels like a slump to athletes who have had steady improvement during their sports career. Sometimes a slump or performance plateau is short lived but in many cases, slumps or performance plateau’s last for prolonged periods — even years. Third baseman Alex Rodriguez has taken a lot of criticism for the New York Yankees and was benched in Game 3 against the Detroit Tigers. So far this postseason he has hit a measly .130, striking out 12 times with only three hits and no home runs. Over thinking – After a strikeout, the natural thing to do is to go “searching” for what went wrong. This can cause players to overthink their mechanics. Baseball player’s best weapon is their intuition. When they start overthinking their swing or timing, their body is unable to react quickly. Doubts – Baseball players who start questioning their ability to get a hit start worrying about making mistakes. They are focused on what not do. This mindset leads to more errors, and thus the vicious cycle of a slump begins. Pressure – Baseball players who are unable to get a hit for a short time start to fear that they might be in slump. They feel pressure (real or imagined) from their coach and teammates to quickly get out of the slump. This pressure often leads to performance anxiety and trouble staying relaxed on the plate. How Can Baseball Players Recover From a Slump? Baseball players who are in a slump are too focused on results and stats, which is irrelevant to think about during an at-bat. The key is to let go of thoughts related to outcome, focus on staying relaxed, and let intuition take over. Los Angeles Lakers star Kobe Bryant told Alex Rodriguez to let go of the things he cannot control. “You can only control what you can control. You go out there and do the best job you can. If they take you out of the lineup, it’s really on you to be a good teammate and support the other guys, which he’s good about doing,” Bryant told Rodriguez. Experienced baseball players know how to get a hit, they have done it over and over again. So really the goal is to stick with your same swing, and avoid making changes to mechanics. Rodriguez’s teammate Robinson Cano, who also has had troubles on the plate, said that he’s going to keep doing the same thing he’s always done. 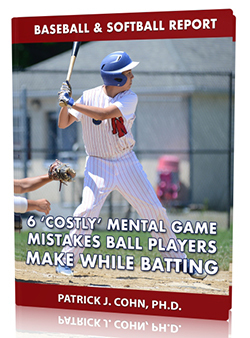 If you’re in a slump, think about how you can improve your mental game and go back to basics. Some baseball players become so fixated on trying to improve their technique that they stay stuck in a hitting slump — they are trapped in a training mentality. They get lost in making changes to their technique. Watch the video below to learn why baseball players stay stuck in a hitting slump. 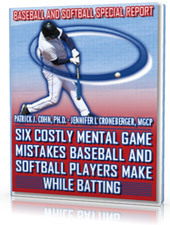 Some baseball players possess the mental strategies needed to get out of slump. Others need extra mental training to revive their confidence and trust their skills. 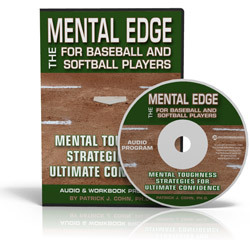 If you struggle with similar mental game challenges in baseball, check out The Confident Athlete CD and Workbook Series or contact us about personal mental game coaching.